American Legion Post 1040 was erected on the site of the old Elsmere Grade School. The Post building was dedicated on October 10,1931. The building is named for Nathaniel Adams Blanchard. He is belived to be the last American Service member killed in action in World War I in France. His unit was Co. G. 307th INF.77th Division. He was killed at the end of the Meuse Argonne Offensive on November 9, 1918. His body was returned to Delmar and he rests in the Bethlehem Cemetery. Some 14,246 Americans lost there lives in Meuse-Argonne Offensive. They are buried in the American Cemetery in Arrgone, France. The Meuse Argonne Offensive American Cemetery in Meuse-Argonne, France. Do you remember when your unit was under fire? You were scared. You didn’t know whether you would ever get home again, see your family, your loved ones. And the only thing that you could count on in that instant was your buddy. And you knew he was counting on you too. Your buddy still needs you!!! Perhaps you were one of the lucky ones who never saw combat. Do you remember the tediousness of garrison life? Do you remember the interminable hurry up and wait? Do you remember the inane make-work projects you were ordered to do? But your buddy was always there along side you, making the wise-crack, helping you make it though each day, maybe even covering for you on occasion. Your buddy still needs you!!! Maybe your buddy is in one of the VA hospitals; his war wounds and/or time have taken its toll on his body. Maybe he or she is a young veteran, just discharged from service in the Gulf War or Bosnia and is having difficulty finding a civilian job. Maybe your buddy is just an ordinary guy or gal like yourself, wanting to share stories and comradeship with someone who was in a similar situation. Your buddy still needs you!!! The American Legion is the place for you to help your buddy and for your buddy to help you. Founded in 1918, it is the largest veteran’s organization in the United States with over 3 million members. Your buddy still needs you!!! We are veterans just like you. We care about America, our fellow veterans, our families and our children. As a member of our Post we continue to serve our God, our Country and our Community. Our Post needs you now. We sponsor local students to participate in Boy State, sponsor scholarships to better educate our children, and sponsor BSA Troop 58..
1. 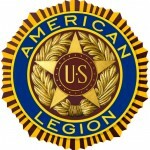 Complete American Legion Membership application by clicking on “APPLICATION” button. 6. Membership dues payment, if current year dues are not paid. If current dues are paid, please pay dues for next year’s membership.